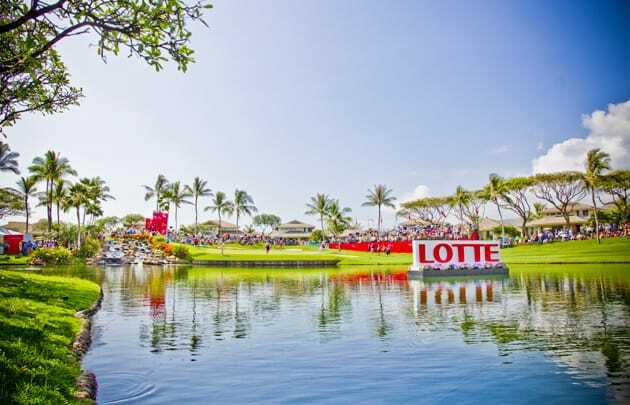 The LPGA moves to Hawaii this week for the playing of the Lotte Championship. Many of my readers will probably remember last year's event when Brooke Henderson entered the final round two strokes ahead of Inbee Park. Brooke then went on to a very easy victory, finishing four strokes ahead of runner-up Azahara Munoz. Please take note that this is a rare Wednesday start and Saturday finish. After her victory, Brooke showed us her golf was much better than her dance moves. This will be tournament #9 of 33 on this year's LPGA schedule. My strength of field rating is 66% (up from 59% last year). Thirty-five of the top 50 players from the LPGA Priority List and 33 of the top 50 players from the Rolex Rankings will be teeing it up. The field will be led by top five players: Jin Young Ko, Ariya Jutanugarn, Minjee Lee, and Nasa Hataoka. Top players not teeing it up this week include: Sung Hyun Park, Lexi Thompson, and Jessica Korda. Note: Actual TV times start at 1:00 PM in Hawaii. There is a six hour time differential between HST and ET. 1- Jin Young Ko - New No.1 player in the world rankings. 2- Ariya Jutanugarn - Still No. 3 in rankings but hasn't played all that well. 3- Minjee Lee - Teeing it up as the No. 4 player in the Rolex World Rankings. 1- Nelly Korda - Will bounce back from disappointing showing at ANA. 2- Brooke Henderson - Defending champion won this easily last year. 3- So Yeon Ryu - Needs good showing to avoid dropping out of the top ten. 1- Azahara Munoz - Has never won a stroke play event. Could this be the first? 2- Jeongeun Lee6 - South Korean golfers have won five times already this year. Could it now be her turn? 3- Kristen Gillman - Has gotten better each week and finished 6th last week at the ANA. Thidapa Suwannapura has officially changed her LPGA golf name to Jasmine Suwannapura. In the previous seven years that this tournament has been held, there have been winners from six different countries. Can you name the only country to have two winners?